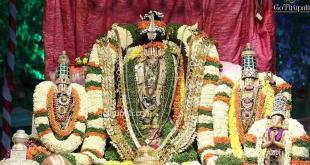 Tirumala, 2016, Feb Month Arjitha Sevas Lucky Dip Booking Quota. On showing the SMS and ID proofs, tickets can be collected from MBC 34 counter by paying Ticket Cost. Please enroll yourself at Vijaya bank counter at CRO office Tirumala. Visited the temple in 300 ticket on March 1st.. Had a peaceful Darshan..
Ur information was very helpful to us sir..
We enrolled for seva ticket in lucky dip.. But unfortunately we didn’t get it..
As per the info in your site, we had planned our trip and saved our time..
You and your team service to the team are highly appreciated.. Let the almighty bless you guys..
Can you please advise the availability of Lucky dip quota for the week of March 7th thru 11th. Can husband and wife register as a couple for 2 tickets or is it individual. One login ID is enough for a couple, no need for 2 login Ids. While booking you need to provide your wife details . It is really surprising that TTD restricted Tickets booking again. 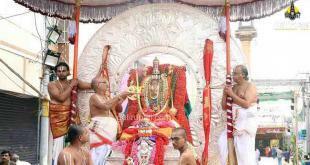 Other option is to try lucky dip booking at Tirumala. I will get you the contact number and Dail Your EO program date so that you can raise your concern. Nice that you and your team giving very good information. from where we can get this information. I usually post the lucky dip quota during the last week of the month. 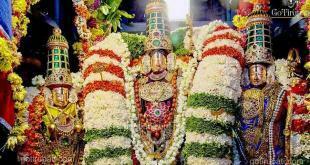 We are going to Tirumala on 5th & 6th wish to get tickets for Suprapatham or Archana seva for 5 people.